Readers of a certain age in the United States will recall that both Wilson Phillips and En Vogue had top hits in 1990 entitled “Hold On.” Well, that is the theme of a talk that I might give at the 2018 SXSW Conference in Austin, Texas, next year. Adtech has led to fraud and wasted money as well as outright blocking that threatens all martech platforms. Social media marketers are realizing that no normal person wants to have a relationship with brands. Content marketing has led to an Internet filled with clickbait crap and fake news that is harming societies. Today we’re gonna market like it’s 1990. Just like Wilson Phillips and En Vogue, “hold on” and learn how. Soon, we’ll have to do traditional marketing both offline and online. I have been enjoying speaking throughout the world on the coming integration of traditional and digital marketing and the things that impede us from doing our best work. Now, I hope to bring my thoughts to the SXSW community. Today, SXSW has opened everyone’s pitches to public vote. You can click here to vote for my proposal and/or any others that you like. 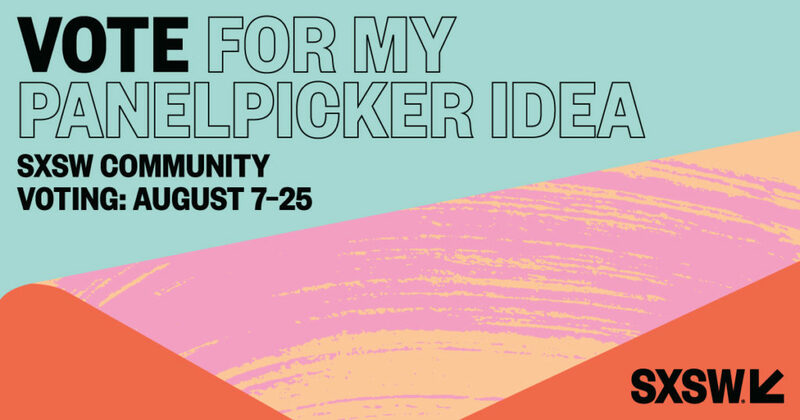 If you have not created a free SXSW PanelPicker account, you will need to do so — it takes just a few seconds! I hope to see you in Texas next year. If I make it to Austin, I promise to get a picture of me in a cowboy hat. Once more, don’t forget to vote!